No mother can be deprived of seeing her children grow! Today is Mother’s Day! A day when we all can celebrate the unique and blessed station of motherhood in the company of our children and family. But there are two mothers in Iran who will not be able to feel the love and appreciation of their children, to receive sweet kisses from their grandchildren today. Exactly nine years ago, on 14th of May 2008, seven innocent men and women were rounded up by Iranian authorities and thrown into the infamous Evin prison solely because of their religious beliefs. They were part of the now-disbanded group known as the “Friends” (Yaran in Persian). With the full knowledge and permission of the government, they tended to the spiritual and social needs of the Iran Baha’i community. All seven were married with children and, prior to their arrests, had rich family lives. All seven were also extremely active in working for the betterment of their community – not to mention Iranian society as a whole. During these nine years, the seven have endured awful conditions that are common in Iranian prisons. In human terms, they have also missed out on the numerous day-to-day joys and sorrows that make life sweet and precious. Among these seven brave souls there are two women, two mothers - Fariba Kamalabadi and Mahvash Sabet, who’s stories I want to share with you today! Fariba Kamalabadi, 54, is a developmental psychologist and mother of three who was denied the chance to study at a public university as a youth because of her Baha’i belief. Mrs. Kamalabadi was born in Tehran on 12 September 1962. An excellent student, she graduated from high school with honors but was nevertheless barred from attending university. Instead, in her mid-30s, she embarked on an eight-year period of informal study and ultimately received an advanced degree in developmental psychology from the Baha’i Institute of Higher Education (BIHE), an alternative institution established by the Baha’i community of Iran to provide higher education for its young people. Fariba married fellow Baha’i Ruhollah Taefi in 1982. They have had three children. Their youngest daughter Taraneh was 12 when her mother was arrested in 2008. Only mothers can understand how much Fariba have longed to be with her daughter who desperately needed her in her teenage years. She would be so happy to see the birth of her granddaughter in 2016. Eventually, she was granted a short 5-day leave for the first time in 2016. But from then on, Taraneh would take her newborn to Evin prison to visit her grandmother. 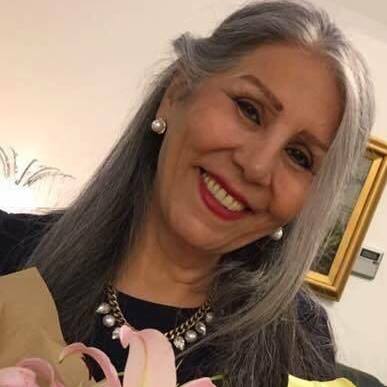 Mahvash Sabet, 64, is a teacher and school principal who was dismissed from public education for being a Baha’i. For the 15 years prior to her arrest, she had been director of the Baha’i Institute for Higher Education, which provides alternative higher education for Baha’i youth. She also served as secretary to the Friends in Iran, before becoming a member of the group. Mahvash was born on 4 February 1953 in Ardestan. She began her professional career as a teacher and also worked as a principal at several schools. After the Islamic revolution, however, like thousands of other Iranian Baha’i educators, she was fired from her job and blocked from working in public education. also has taught psychology and management. She married Siyvash Sabet on 21 May 1973. They had a son and a daughter, Masrur and Negar. 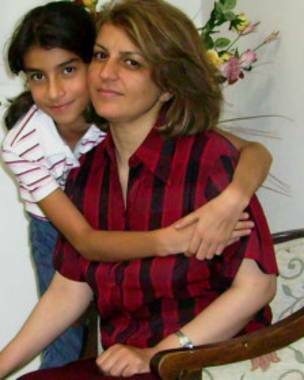 While the other members of the Friends were arrested at their homes in Tehran on 14 May 2008, Mrs. Sabet was arrested in Mashhad on 5 March 2008. in these nine years she missed the graduation of her daughter, Negar, who obtained an advanced diploma of Chinese language from the Beijing Language and Culture University in 2016. During her imprisonment she started writing poems which helped her convey the harsh reality she and her six fellow Baha’is were going through. In 2013, PEN International took notice of Mrs. Sabet’s book „Prison Poems”, calling for the world to “take action” on International Women’s Day in her support that year. As a prisoner, of course, she has missed out on that and other accolades that have come to her as a published poet. What if I were in their place …. I was thinking about these two heartbroken mothers who were separated for 9 years from their loved ones solely because of their beliefs, and I just imagined for a second what if I were in their place. What I would have missed from the lives of my children if I were imprisoned. Nine years ago my sons were just 6 and 3 years old. I would not see them grow, going to school, scoring the first gall, taking piano lessons, participating in the gymnastics competition, singing opera in the Organ Hall, learning to dance break. I would have missed all the precious, significant, unrepeatable moments of their lives! I would not be there when they failed to comfort them! I would not be there sharing their moments of triumph and telling them how proud of them I was! I would not be there to see them grow up, to witness their transformation into real men and noble human beings. But, most sadly, I would not be there to show my unconditional love, to share my values, to guide through example and to live my imprint in their souls. How unfair, how heart-rending, how devastating that would be!!! Because mothers should never be deprived of seeing their children grow! P.S. Dear reader, if the stories of these mothers have touched your hearts and you also believe that the imprisonment of seven innocent people must end now, please join me in the worldwide campaign and share this post with the hash tag #ReleaseBahai7Now and #NotAnotherYear.